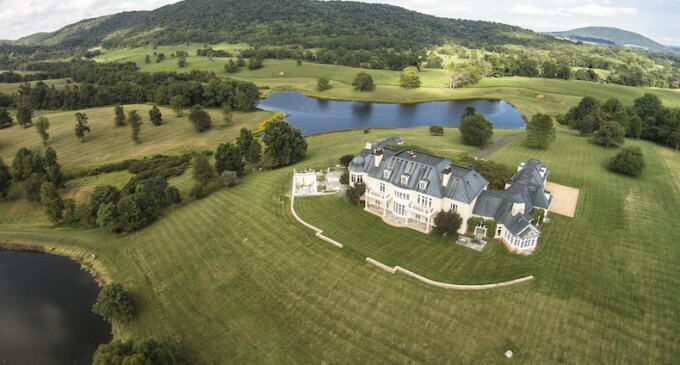 A substantial private estate has come available in an unparalleled setting in Hume, Virginia for $16.95-million. Spanning 1,000 private acres is ‘The Cove’, a breathtaking property complete with a spacious 30-room manor with 8 bedrooms, 11 bathrooms, a 3,500 bottle wine cellar, as well as a carriage house and tenant house. The vast estate includes three ponds, a swimming pool, and has the potential for a conservation easement. If 1,000-acres just won’t do it for you, you can purchase 2,000-acres for $23.95-million. It’s listed with Washington Fine Properties, LLC.